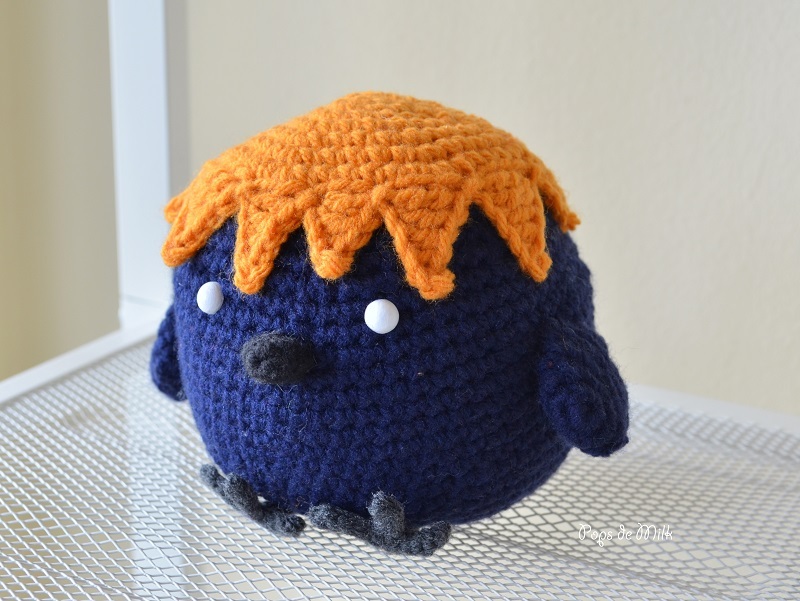 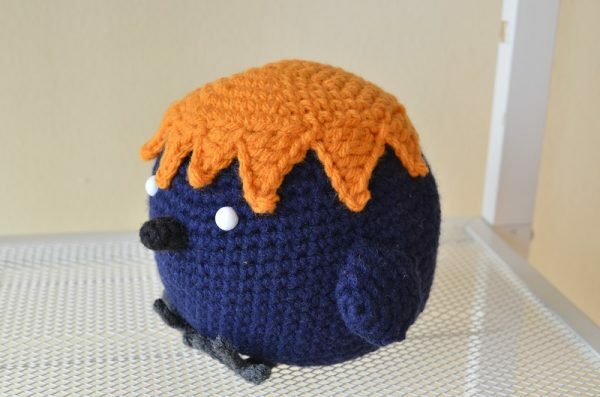 Fans of the manga-turned-tv series, Haikyu, will love this adorable amigurumi crow. 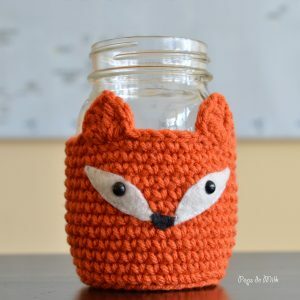 The pattern is ideal for beginner crocheters who are ready for something a little more challenging. 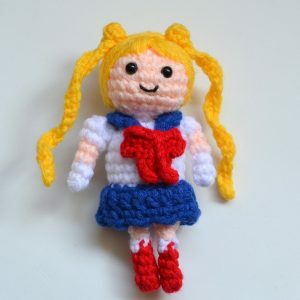 The finished size is approximately 6 inches in height and can be completed in a day. 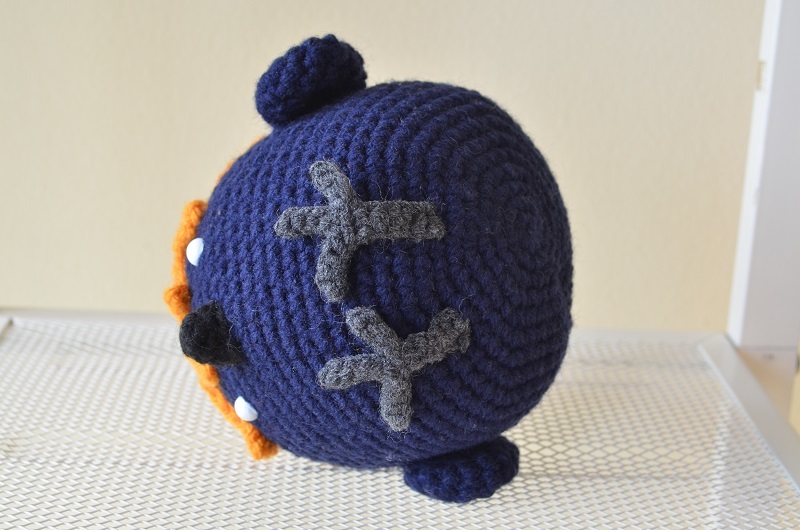 If using safety eyes it is recommended that children under the age of 3 do not play with this as the eyes pose a choking hazard.